Tile sizes continue to grow, according to experts, and, according to Amy Balsimo of Louisville Tile Distributors, the development of inkjet printing continues to give manufacturers the ability to create gorgeous graphics. Balsimo says that while rectangular shapes are still very popular, growing in interest are curved shapes and three-dimensional wall tile. 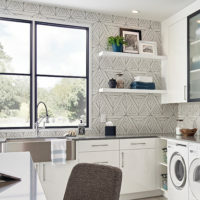 And while subway tile remains the leading trend, she reports that designers are using different patterns and even some different sizes, rather than the standard 3-in. x 6-in. style. “Longer rectangles are gaining some traction,” she says. Herringbone designs are quite popular, according to Welch. “We’re also seeing more modern designs, such as straight stacked and vertical offset of subway tiles,” she says. George Carwile of Robert F. Henry Tile Co. says subway, elongated subway, hexagon, and elongated hexagon tiles are very popular. “We’re also seeing wallpaper-like designs, hand-scraped wood looks in porcelain, linen, fabric, textures, and more in tile design,” he says. Crumley adds that subway tile remains very popular, and lends itself to a wide variety of installation designs. 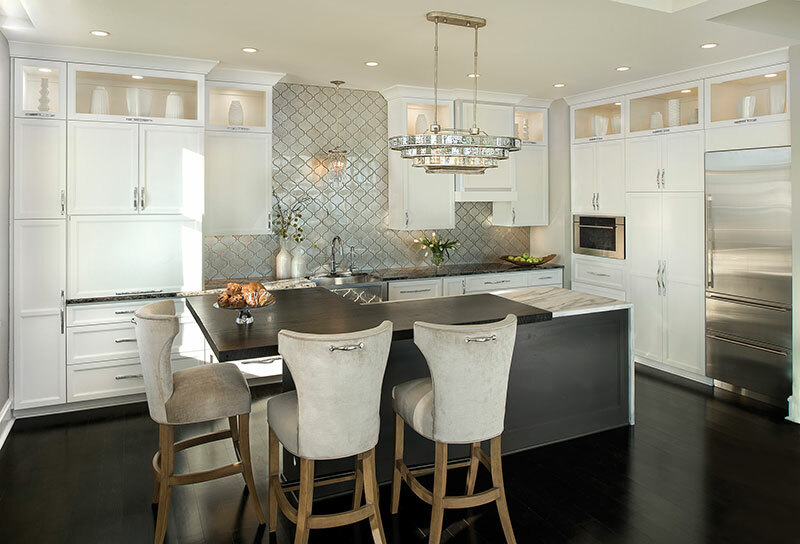 “Many are inserting pops of color like a band of black subway on a field of white for a classic look, or you’ll see a highlight or feature in a glass tile that can break up not only the color field but the texture as well,” he says. 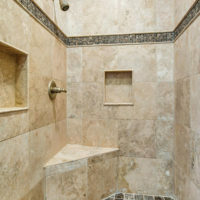 Subway tile remains timeless and affordable, according to Brad Hollis of GIO Architectural Tile & Stone. “There are many new sizes, shapes, and options including matte, glossy, bevel, and more,” he says. 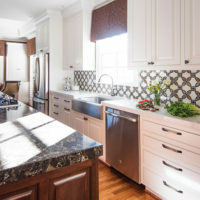 Today’s homeowners are looking for larger format tile, at least in part to decrease the amount of grout lines, according to Camille Jacky of Milestone Design Center. “Wood-look tile is very popular, and allows people to be more ‘green’ without cutting down more trees,” she says. For wall tile, Jacky reports that homeowners and designers are selecting vertical, abstract lines, especially for feature walls. She adds that gray is the most popular color for tile this year, with a polished finish within a shower, and a matte finish for floors. 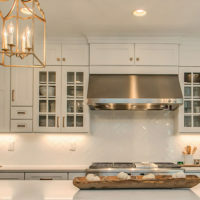 While agreeing that subway tile is timeless and popular with her customers, Lindsay Meacham of Red Rock Tileworks says clients are becoming more adventurous with layout, selecting herringbone and elongated tile looks. “Boho patterns are in and our 8-in. Taro Hex is a huge hit. Simple satin white on our tribal-looking 6-in. tile is also very popular with black grout,” she says. 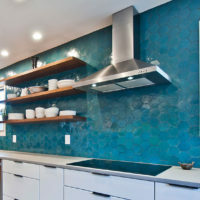 Meacham says the company’s most popular subway tile color at the moment is Laurel Lake, “a beautiful pale sea glass colored tile. It goes well with carrara marble and neutral interiors, but has enough color to show the watercolor-like look of hand glazing.” She suggests that strong colors this year will be turquoise, blush, and white. walls but showcasing the floor with bold patterns and colors,” she says.